I am facing this great deal of uncertanty on what is happening on my Photoshop software. I cannot use certain brush presets on the software that i mentioned. Having noticed that, i immediatly contacted ADOBE costumer support, and after a while investigating my specific situation, they asked me to send them, a NFO file from my PC. After that, they also asked me to check the version of my software, in order to deliberate if my AMD Graphics, is compatible with the software version. They concluded that my AMD graphics is not updated accordingly to the software, so they advised me to update my AMD graphics Drivers. I can't find the specific driver that i need to update in the Drivers Section Download. I honestly don't know how am i going to solve this, i don't even know if i most likely going to have to by a new one. I appreciate all the help. Please...you are giving no useful information. Example..you have a laptop. APU? You're right, i apologize for not making this easy to help. I am new to this forum and i didn't realize the question was not that specific. I'll try to put all the information i can. That´s everything that i know. You must disconnect from the internet until you have finished uninstalling/installing the AMD graphics. Disable it or pull the ethernet cable. After you have downloaded the correct AMD driver and DDU...you do not need the internet to install them. This prevents Microsoft from trying to install any driver when you are rebooting. 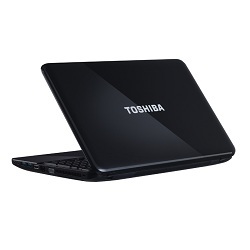 Also check Toshiba driver support for the latest bios...Drivers & Software Support | Toshiba Look on the back of the laptop for the exact model number. Appreciate all the information brother. I don't see the difference in the driver size. Where can you see it? kingfish re-edited the link to the correct one. I deleted my link since it is now the same link as the previous comment. Sorry man, besides Photoshop and Illustrator, i don't really know how to do stuff on my computer. In terms of computer understanding, i have some difficulties, because i haven't done none of the things you guys have been helping me. Please bare with me for a second, and help me out in a walkthrought mannor. Can you do that? If yes, walk me throught. What is the first thing i need to do? Download a small free program called SPECCY. This will probably show what BIOS you have installed plus other hardware information and post a picture of the Motherboard or General tab. Did you upgrade your Laptop from Windows 8 to Windows 10? First of all, thank you for all the help. Third, yes i have windows 10, and i predict that it is the lastest one. Download Speccy | Find your computer specs, free! can you upload an image of your SPECCY showing your basic computer hardware? If you have a laptop, you must update the APU driver which also updates hd 7600m unless you have an Intel CPU/APU installed. If you have an Intel CPU/APU there are HD 76xxm drivers. Need to know specific GPU card you have installed? Need to give your computer information for further help: INFORMATION REQUIRED WHEN POSTING A QUESTION . As georges stated they are Legacy which means that AMD doesn't support these GPUs with updated AMD Drivers. These are the last two Drivers from AMD Support. One is BETA and the other is Windows Qualified. If you have a Laptop and it has this Driver installed than you have the latest driver for your GPU card.(2105/2016). Okay so, when i enter this AMD Radeon HD Drivers & Support, i find a list of all this drivers. I suppose it is the one i highlighted in red, but there are two drivers in there. wich one i download? You only download/install one of them. Look at the dates. Among those two, i downloaded the latest. Can you tell me if i have the latest Drivers installed? This is the uploaded image that you asked of my SPECCY. The driver you have installed was installed by Windows Update which is newer than the one AMD Download has for your GPU card. It is best to use AMD Driver (15.7.1) instead of Windows Update. According to Softpedia Download, the AMD Driver you have installed now is said to be Alpha Driver Download AMD Catalyst Graphics Driver 15.201.1151 64-bit for Windows 7 64 bit, Windows 8.1 64 bit, Windows 10 64 bit . - This alpha driver contains day one support for World of Warships for the selected products listed. This driver also resolves a crash some users may experience when using those products with this game. The BETA should be newer than the driver you have installed now. So see how it works, if not download the Windows Qualified Driver 15.7.1 and install that and see if it works better. Make sure you don't have Windows Update the AMD Driver after installing it. Then you will be back to square one. Brother, don't get me wrong, but am giving up at this point. I really don't understand all terminology that you guys use on describing stuff, i can't get none of this in the sense that it get's more confusing as time passes. I don't understand half of your's explanation on when and were i have to do things in order to do other procedures the right way. In the end, since i can't get the grip of all information, am not feeling confident on trying anything, because am afraid of messing things up, and leaving it in a worst state that currently is. With that being said, you guys probabily think that i must be really slow or extremely dumm or something, but am just being honest. I'm going to have to sort out this problem somehow in a different fashion. Still, i really appreciate all of your efforts on helping me. If you don't feel comfortable installing and uninstalling the AMD Drivers. Then see if you can find someone else to do for you. Just download both drivers from AMD Link, the 15.7.1 (2015) and the BETA (2016) so whoever helps you will have the correct drivers for your laptop. You got to realize you have an old Pre-Windows 10 laptop. I can sympathize with you. If I don't feel comfortable in doing something regarding computers, I generally won't do either, unless I have no choice or find someone else to help me. That is the only way you are going to learn computers. Just download the BETA AMD Driver from the link and install that. Make sure you have your laptop disconnected from the internet when you install the BETA driver. After installing see if it works to your satisfactions If not, uninstall the BETA and install the other AMD driver from the AMD Download and see if works better. (internet disconnected). Post back after if you to install it yourself.